O'Connell also extensively documented RCA's technical problems with the Philadelphia Orchestra recordings of 1941/42, which required extensive electronic editing before they could be issued (well after Toscanini's death, beginning in 1963, with the rest following in 1977). Harvey Sachs also recounts that the masters were damaged during processing, possibly because of the use of somewhat-inferior materials imposed by wartime restrictions. 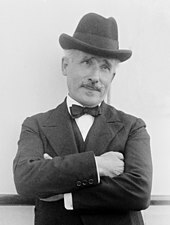 Toscanini had listened to several of the test pressings and had given his approval to some of the recordings, rejected others and was prepared to re-record the unsatisfactory sides. Unfortunately, the 1942-44 Petrillo/AFM recording ban had began and prevented immediate retakes; by the time the ban ended, the Philadelphia Orchestra's contract with RCA Victor had expired and the orchestra had signed with Columbia Records. RCA apparently was hesitant to promote the orchestra any further, especially since it now recorded for arch-rival, Columbia. RCA had declared the defective masters unsalvageable and Toscanini eventually re-recorded all of the same music with the NBC Symphony. 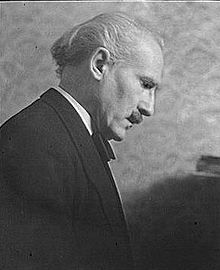 When told that RCA had finally decided to scrap the Philadelphia recordings, Toscanini vehemently exclaimed, "I worked like a dog!". The best sounding of the recordings is the Schubert Symphony No. 9 (The "Great"), which had been successfully restored and issued by RCA Victor in 1963. In 1968, the Philadelphia Orchestra returned to RCA and the company was more favorable toward issuing all of the discs. When RCA finally released a complete edition of the recordings in 1977, Sachs and others suggested that some of the masters may have deteriorated further. As for the historic nature of the recordings, even on the first RCA Victor compact disc issue, released in 1991, some of the sides have considerable surface noise and some distortion, especially during the louder passages. Nevertheless, despite the occasional problems, the sound has been markedly improved on CD, and the entire set is an impressive document of Toscanini's collaboration with the Philadelphia musicians. A second RCA CD reissue from 2006 makes more-effective use of digital editing and processing in an attempt to produce improved sound. Longtime Philadelphia conductor Eugene Ormandy expressed his appreciation for what Toscanini achieved with the orchestra. ^ Greg Daugherty (May 2, 2013). "8 Famous People Who Missed the Lusitania". Smithsonian Magazine. ^ The Double reed. International Double Reed Society. 1995. p. 65. Retrieved July 25, 2012. ^ a b Association for the Advancement of Instrumental Music (1993). The Instrumentalist. The Instrumentalist. Retrieved July 25, 2012. ^ Ewen, David (1949). American composers today: a biographical and critical guide. H.W. Wilson Co. Retrieved July 25, 2012. ^ Vinson, Bill; Casey, Ginger Quering. "S.S. Brazil". Welcome Aboard Moore-McCormack Lines. Retrieved May 21, 2013. ^ "Penn Special Collections – Ormandy/Usher". Library.upenn.edu. Retrieved November 1, 2012. ^ a b "The First Televised Orchestra Concert". Library.upenn.edu. Retrieved November 1, 2012. ^ Gellately, Robert (February 14, 2018). The Oxford Illustrated History of the Third Reich. Oxford University Press. ISBN 9780191044021. ^ Schonberg, Harold C. (January 1, 1997). The Lives of the Great Composers. W. W. Norton & Company. ISBN 9780393038576.